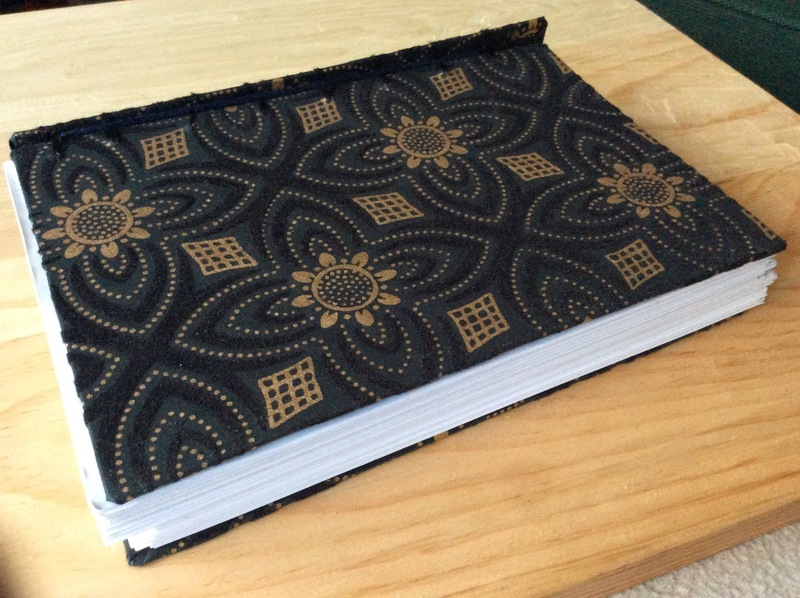 I bound a book using the Belgian secret binding method today. It’s a monster. Four hundred eighty pages of boom. In essence this is the problem with the Belgian secret binding method. You produce the middle panel of the spine based on some vague guesses about what you think matters, and then it takes twice as many, or four times as many, sheets of paper to make up that book as you think it will. This book used all of the quires I’d intended to use in two separate books. And this means that, in order to make the second book, I have to go to Staples or some other paper store to get the materials to make the second book. 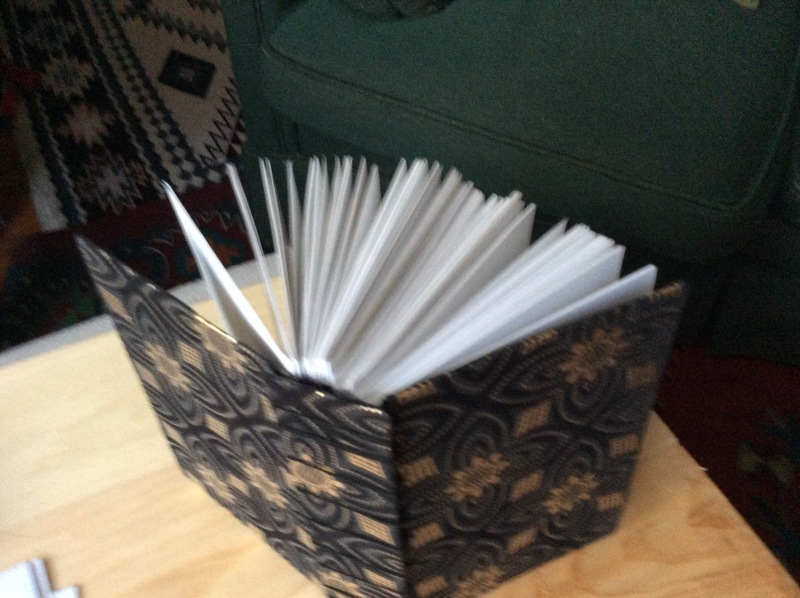 The Belgian secret binding is also difficult to get right in terms of stacking quires, as one can see from the photos: the book lurches around like a drunken sailor in San Francisco, forever listing to one side as he navigates steep streets. That said, I am learning both how this binding works, and what it can be used for. 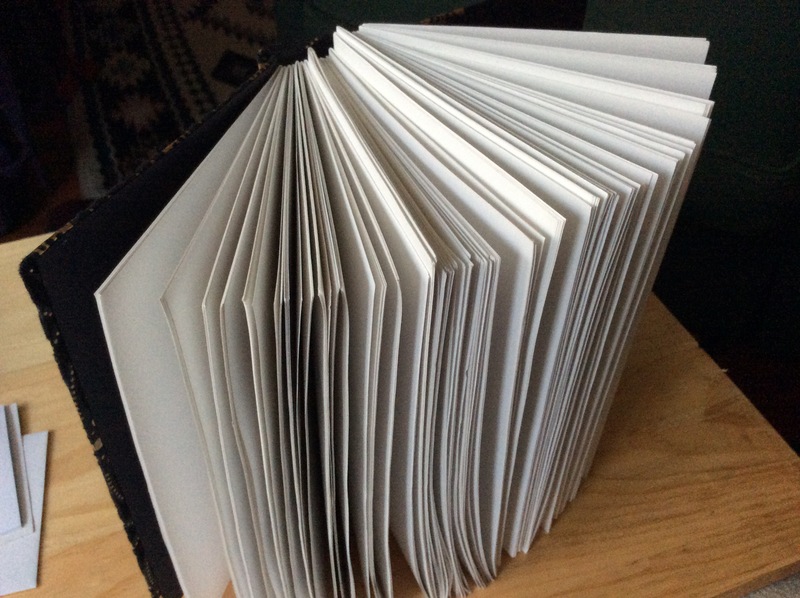 I’m going to have to make five or six more books of this type before I feel that I know what I’m doing. I think I prefer the Coptic stitch binding, generally speaking. But this is a nice transition between the case binding of more traditional western-style manuscript books, and the Coptic stitch.